Never Search a Person Whom You Want. 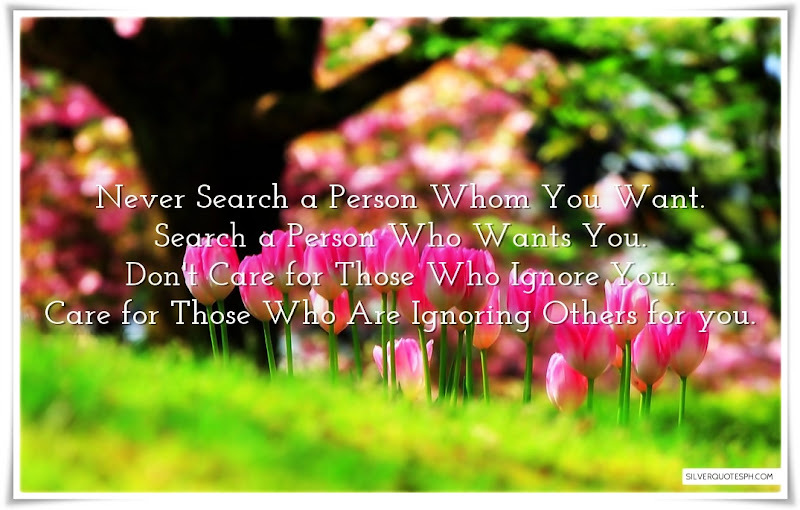 Search a Person Who Wants You. Don't Care for Those Who Ignore You. Care for Those Who Are Ignoring Others for you.